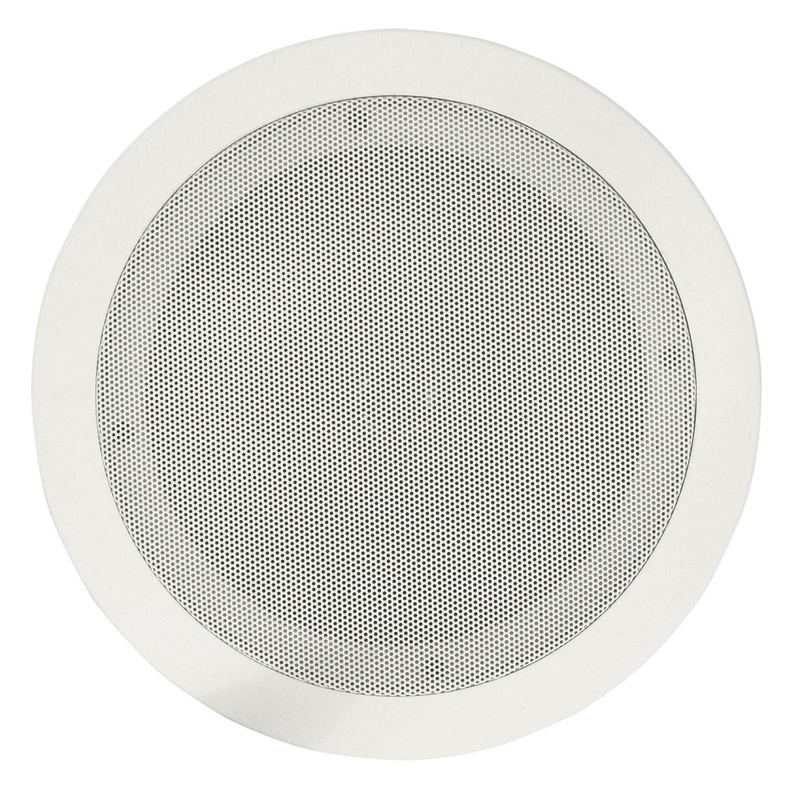 100V Line Fast Fit ceiling speaker fitted with a high power 6.5" polypropylene driver with centre tweeter. 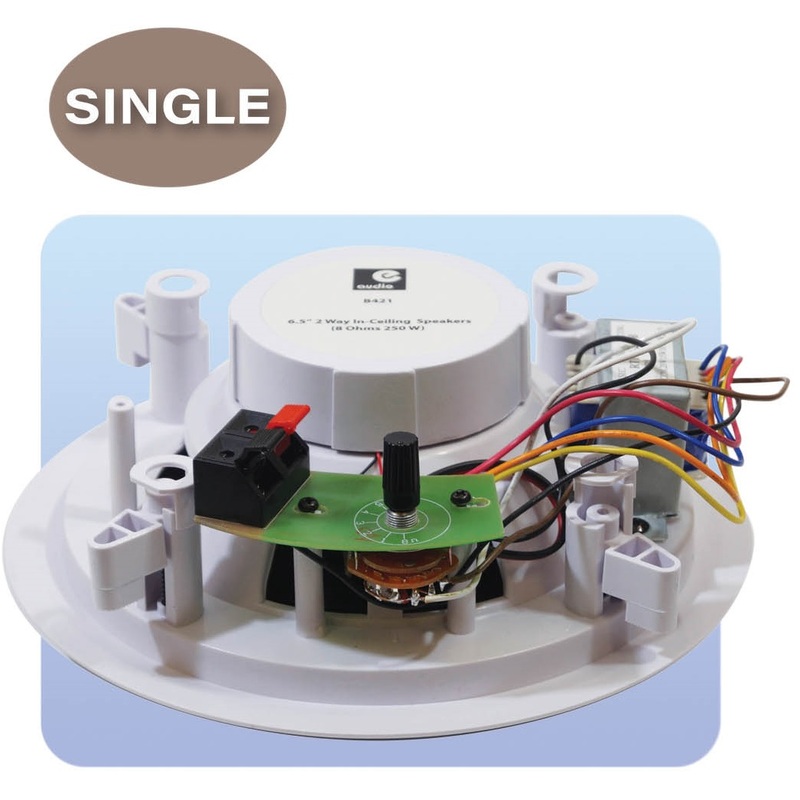 The product features selectable tapping's via a rotary pot and which includes an 8 Ohm setting. Connection is via push fit terminals and is supplied with cut out template. 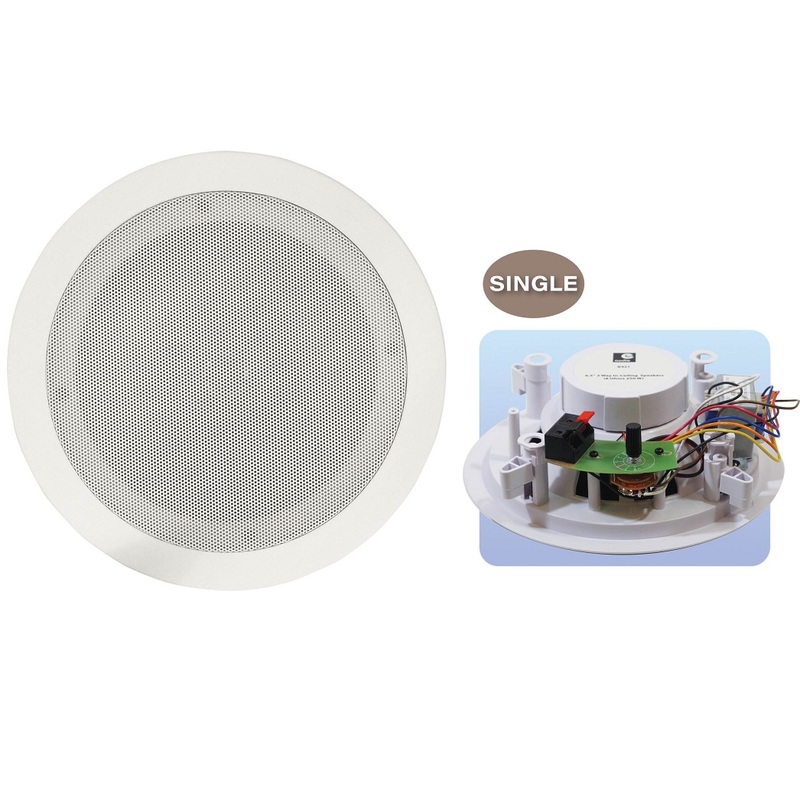 The product is ideal for use in offices, shops, clubs, pubs, kitchens and wet rooms and can be used on either 100V line or low impedance systems. Priced and sold individually. High Power 100V and Low Impedance Ceiling Speaker, Compatible With Most Major brands of 100V Line and Low Impedance and Multi- Room Amplifiers, Fast and Easy to Fit. Cut Template Provided, Ideal For Use in Shops, Bars, Kitchens, Wet Rooms ETC. 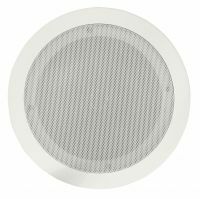 Multiple Tapping's from 2.5W to 20W, Ideal for Where Both High and Low Power are Required.